Sometimes you want a lovely, simple little game that plays in under a half hour. 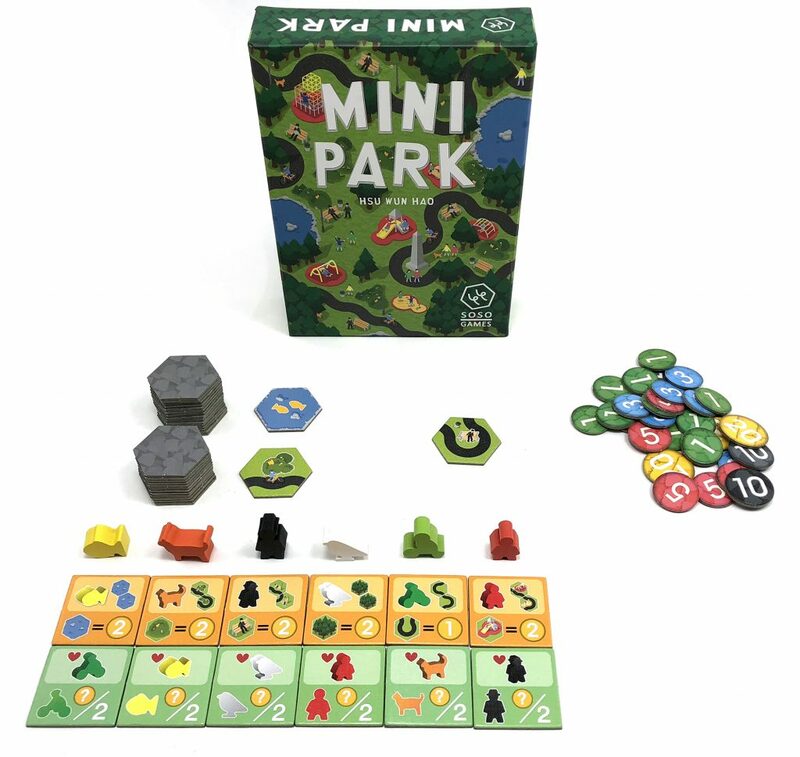 Enter Mini Park from the Taiwanese publisher Soso Studio. 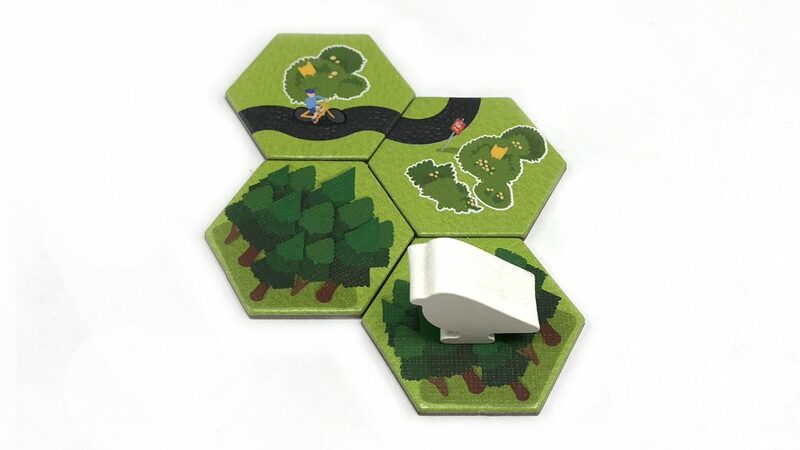 Mini Park is a clever tile laying game about collectively building a park for the residents of your town to enjoy. 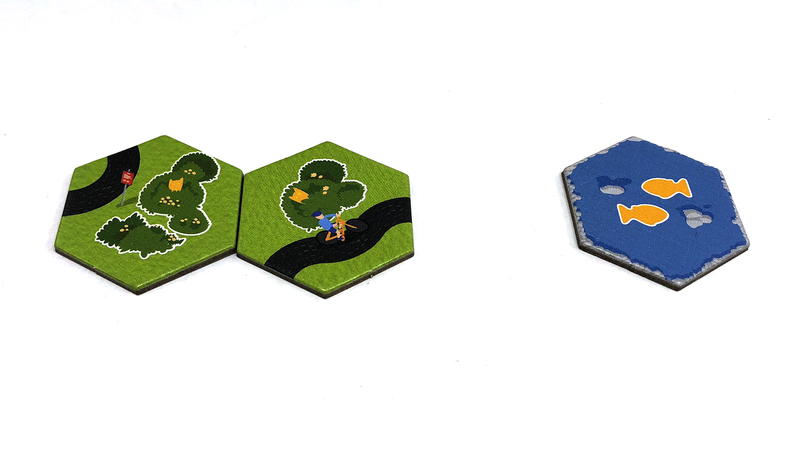 Every turn players add new features to the park (paths, benches, playgrounds, trees, or ponds), then score points for that placement. Alternately players can choose to pick one of 6 different characters to add to the park which will earn them bonus points at the end of the game. The player with the most points wins. Setting up Mini Park is quite simple. 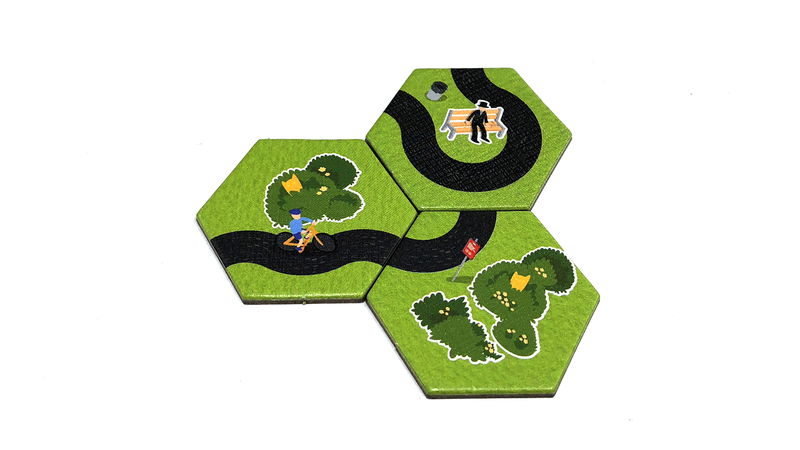 Shuffle the hexagonal park tiles and place them into stacks to one side of the play area. 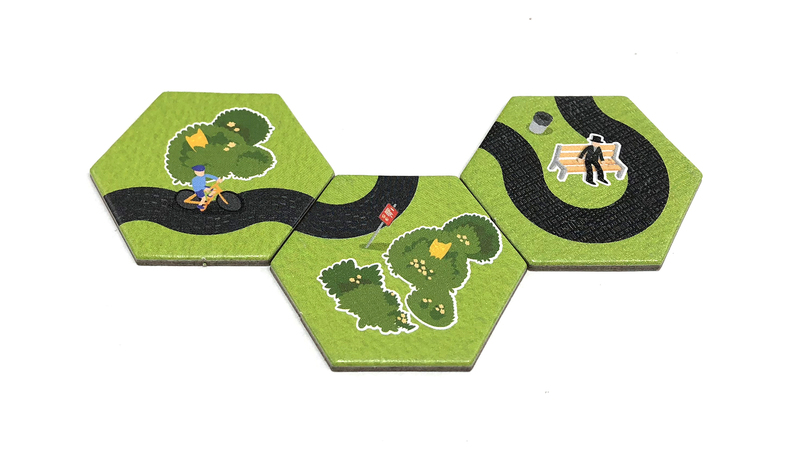 Pick one tile from the top and place it into the middle of the table as the beginning of the park. Then turn the next two tiles face up next to the draw pile. Place the character tiles to one side, orange side face up. Then place the matching figure next to each tile. Select a starting player and begin building the perfect park! For an advanced game turn the character tiles brown side face up and randomly place one of the objective tiles next to each character tile. A player’s turn consists of performing one of two actions. Newly placed tiles must touch at least one other tile. Road segments must connect to another road segment, or to nothing. These two road segment tiles are correctly placed. These three road segment tiles are correctly placed. These tiles are placed incorrectly. 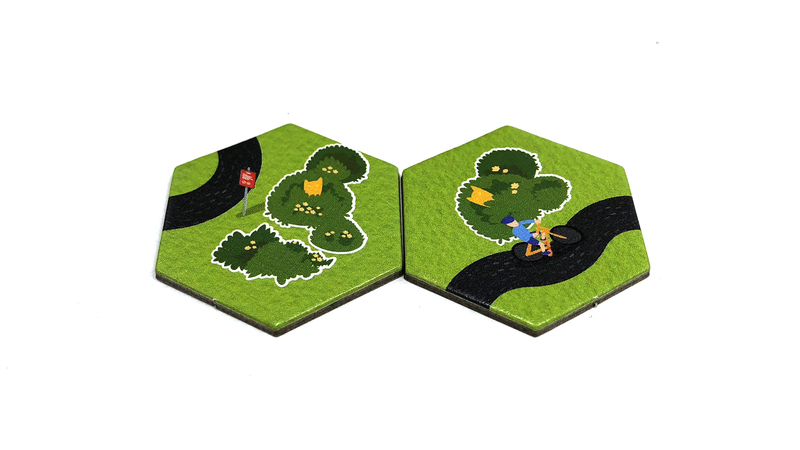 Select one of the remaining character tiles and place it in front of you, along with its matching objective tile. Take the matching character figure and place it onto a park feature matching the tile (place a bird figure on a tree tile, place a fish figure on a pond tile, etc.). After all tiles have been drawn and placed, the game is over and scoring can begin. Each player tallies points from tile placement and points from character cards. 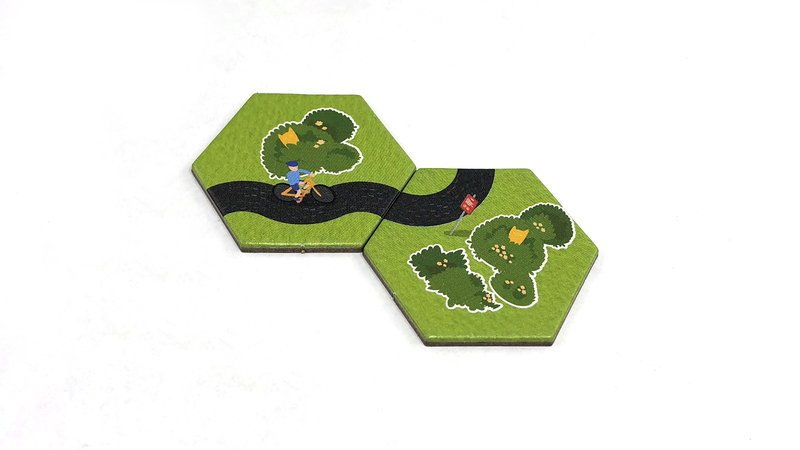 In the advanced game players will also receive points from objective tiles. 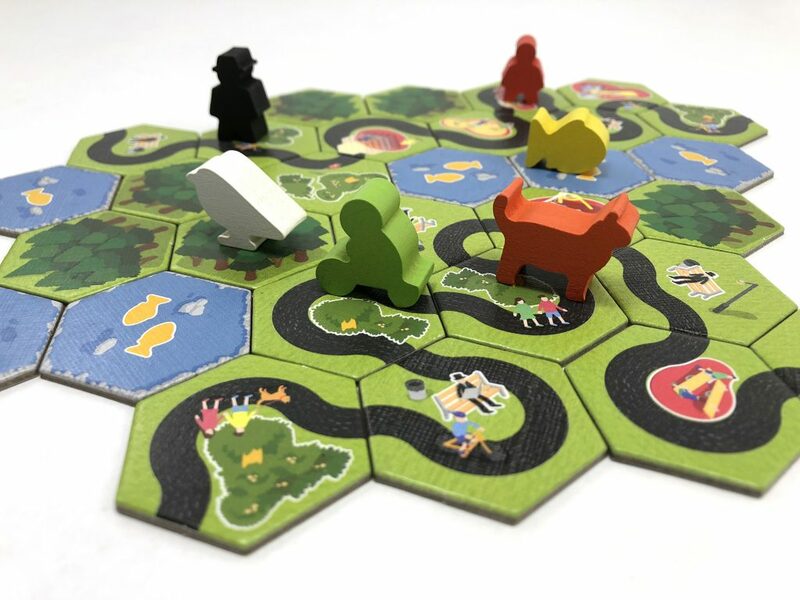 For example, the player with the bird objective tile will receive half of the points gained from the bird figure’s placement. The winner of the game is the player with the most points. 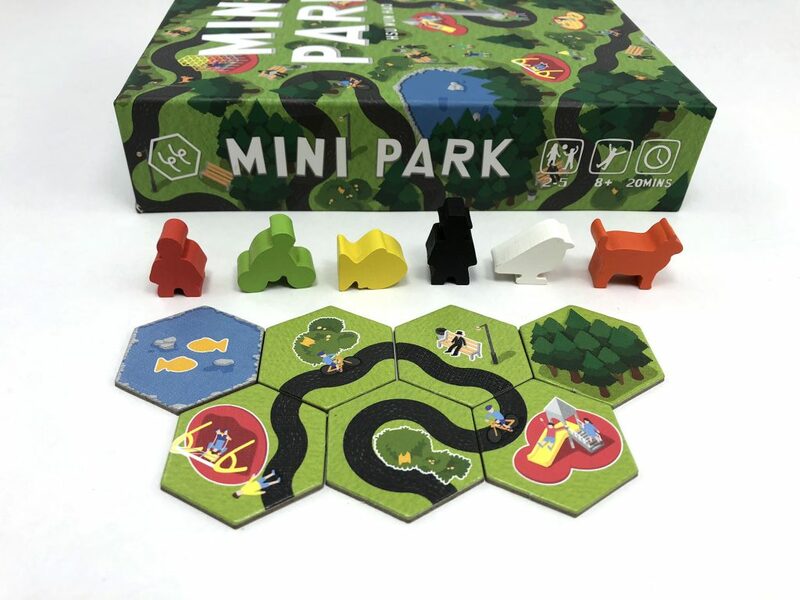 Mini Park is light and sweet; engaging artwork, a fun and relaxing theme, and clever tactical gameplay. The nature illustrations really evoke a relaxing day at the park…birds singing in trees, fish leaping in ponds, children laughing in playgrounds, and bicyclists riding on the paths. There’s just enough detail to make the slowly evolving park visually appealing, but not so much that it obscures the primary features on each tile. 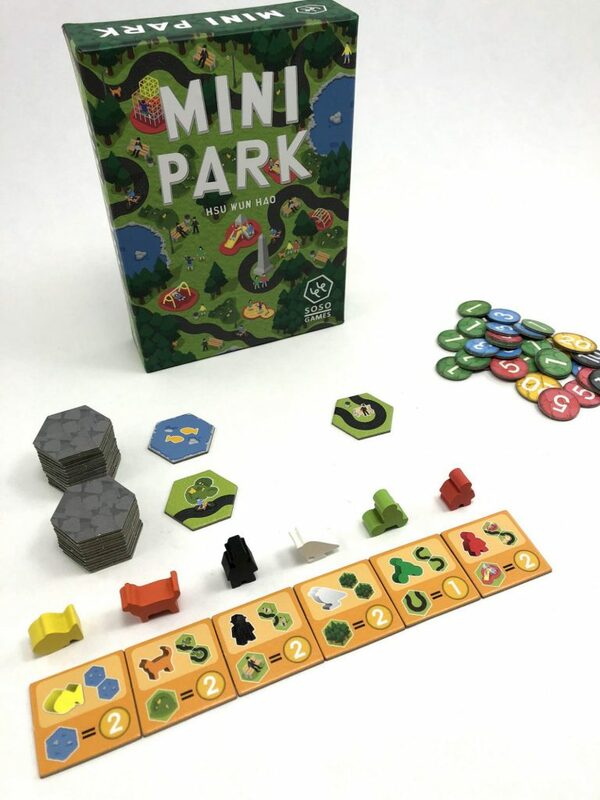 Mini Park is exactly what it claims to be; a simple and fun tile laying game with a great theme. But it’s also more than that. Players need to monitor their own placements with the character and objective cards owned by other players. Sure you could place a tree tile in that spot to earn 3 points, but you’re giving another 2 points to Ashley who placed the bird figure, and 1 point to Mason who owns the bird objective tile. 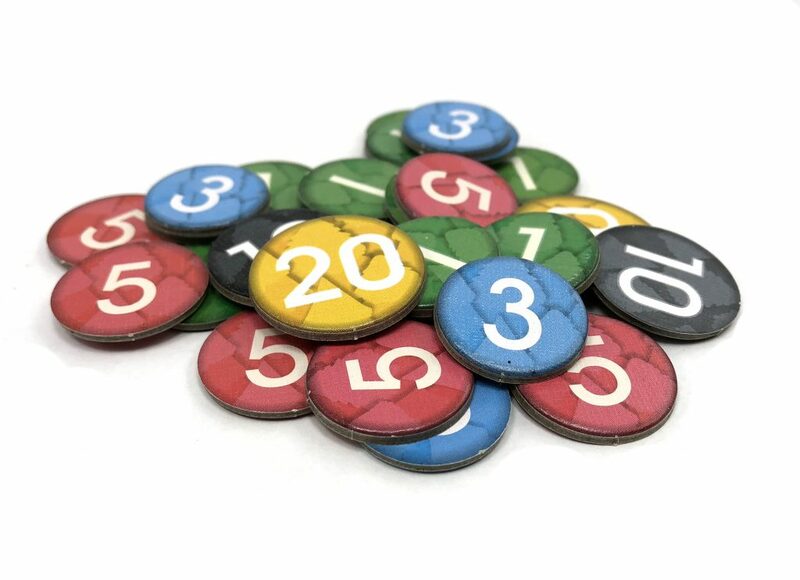 The main issue I’ve run into is that there’s not quite enough point tokens in the game. You’ll constantly be picking up between 1 and 3 points every turn, which means that you’ll always be exchanging lower point tiles for higher ones. Not a huge deal, but something that bothers me every time I play it. Mini Park is a really fun family game; easy for kids to pick up, but enough “game” to keep adults engaged. It isn’t currently available in the US, which is a shame. But ask your local game store and they might just be able to order it for you. Mini Park is worth having in your collection. Next postCryptid Review – Where in the World is El Chupacabra?